Fedor Emelianenko 5.0 is about to be unleashed onto the world. With an updated operating sytem this new version of Fedor has all the calculated MMA violence you’ve come to love with an extra splash of emotion thrown in to appeal to the masses. Fedor fighting MMA in 2015 has mass appeal. Where will Fedor be fighting when he comes out of retirement? Who knows but the UFC and Bellator would likely please the MMA Gods the most. 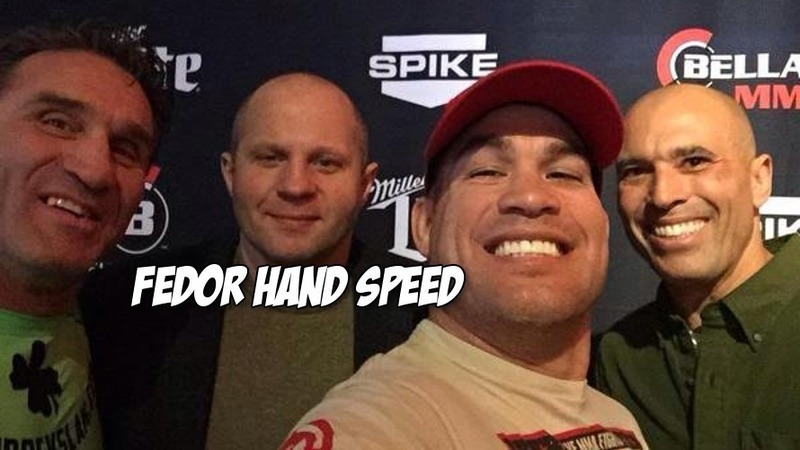 Who will Fedor be punching when he steps in the cage and or ring for the first time in three years? To be determined. How will Fedor look when he fights again? Does a Fedor accumulate ring rust? Not according to training partner and apparent Bellator heavyweight champion Vitaly Minakov. In preparing for his comeback fight Fedor has elected to train with actual human beings who hold Bellator hardware as opposed to Russian robots or man eating bears with the thirst for sweet people flesh. From FightNights.ru, Minakov talks rolling with 2015 Fedor.